The NSW Nationals leader’s public support for a container terminal at the Port of Newcastle, as reported by the Sydney Morning Herald on October 23, is welcome news. Under current arrangements, two container ships a week visiting the Port of Newcastle until 2063 would cost the NSW Government more than $6 billion. The government is contractually committed until 2063 to paying the lessee of Port Botany and Port Kembla, NSW Ports, for containers shipped through the Port of Newcastle. Payment starts when more than three container ships a year visit Newcastle, assuming an average of 10,000 import/export containers a visit. Payment is based on the average price charged by NSW Ports for a container shipped through Port Botany, currently $150. The government secretly decided to require the developer of a container terminal at the Port of Newcastle to pay the government for any cost the government incurred to a future Port Botany/Port Kembla lessee, due to container shipments handled by the developer. The government concealed its decision when parliament debated the bill authorising the ports to be leased. The “Ports Assets (Authorised Transactions) Act 2012”, which was assented to on 26 November 2012, did not authorise the government to pay the Port Botany/Port Kembla lessee from consolidated revenue. Should the ACCC find that the decision to charge a Port of Newcastle container terminal developer is likely to be illegal under the “Commonwealth Competition and Consumer Act 2010” (Competition Act), the government will need to pass special legislation to pay NSW Ports. More likely, the government will assert that the leasing arrangements are legal and will defend its position, in the event that the ACCC sought a court determination. The legal process could take years. The previous Labor Government started negotiating with the preferred developer of a container terminal at the Port of Newcastle, Newcastle Stevedores Consortium (Consortium), in 2010. Labor contractually required a container terminal with capacity of at least one million containers a year – the equivalent of two ships a week. Port Botany and Port Kembla were leased to NSW Ports on May 30 2013. The government contractually required the consortium to pay the government for any cost the government incurred to NSW Ports, for container shipments handled by the consortium. The ACCC claims that the government decided from at least July 27 2012 not to develop a container terminal at the Port of Newcastle. 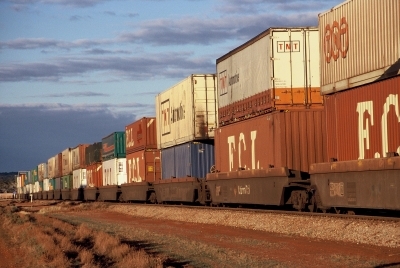 The ACCC based its claim on the government’s policy announcement that Port Kembla would be the location of the state’s next container terminal. 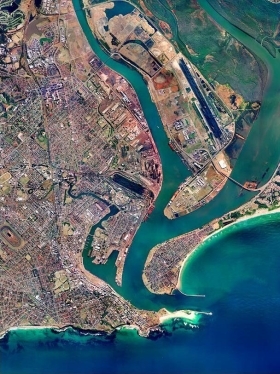 The ACCC claims that the Competition Act stopped applying to the government in respect of a container terminal at the Port of Newcastle, due to the policy announced on July 27 2012. The government announced on 28 October 2013 that no decision had been made to lease the Port of Newcastle. The government said “the scoping study for the proposed port transaction remains on track, with the NSW Government expecting to make a decision by the end of the year”. But on 5 November 2013, the government announced its decision to lease the port. Around that time, the government ceased negotiating with the consortium, without concluding a development agreement. The ACCC took no enforcement action under the Competition Act because the negotiation “did not result in any contract, arrangement or understanding”. The ACCC informed the Commonwealth Treasurer that “there does not appear to have been a contract, arrangement or understanding in place during the relevant period which had the purpose, effect or likely effect of substantially lessening competition”. The ACCC refuses to acknowledge that the government contractually required the consortium to pay the government, for any cost the government incurred to NSW Ports, due to container shipments handled by the consortium. However, it was impossible for the government to conclude a contract that breached the Competition Act. If the government’s contract with the consortium breached the Competition Act, the same contract with the Port of Newcastle lessee breaches the Competition Act.